An artist’s depiction of the Japanese iSpace Lunar rover. Image courtesy of iSpace. 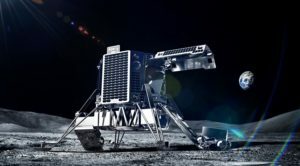 While SpaceIL’s Beresheet lunar lander met with a tragic end on the Moon’s surface, it has paved the way for a number of other private Moon missions that are currently in the works. 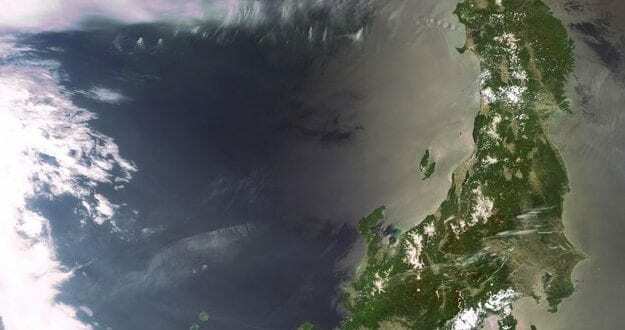 Among these is Japan’s ispace, and SpaceWatch.Global’s Editor-in-Chief Helen Jameson spoke with Kyle Acierno about the company’s plans. This year we celebrate the 50th anniversary of humanity on the Moon. Where is iSpace today in terms of its lunar ambitions? 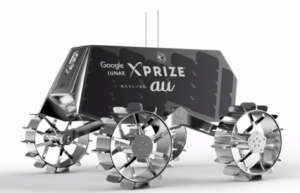 ispace was originally developed to take part in the Google Lunar XPRIZE and, as you know, that prize ended in March last year, unfortunately without a winner. During the course of the competition, while we were looking for a ride to bring our rover to the lunar surface, we realised it was hard to find a reliable partner and if we didn’t do it ourselves, we ultimately were always going to be relying on other people, which is not a good thing if you want to have a sustainable business. 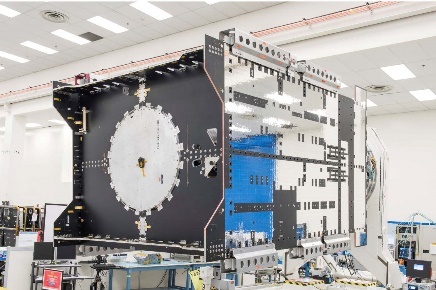 So, back in 2017, we raised around U.S.$95 million to develop our own spacecraft and the development is going really well. We had the Preliminary Design Review last summer. The development of the lunar lander started before we raised the money in anticipation that the money would be there. We are now contracted for two launches. In 2020, we want to do an orbit around the lunar surface and in 2021 we want to land on the lunar surface. The company has about ninety employees now across three offices in Japan, Europe and the U.S. Overall, I think we’re on a good path. Now, we just need to meet our schedule, so everyone is working really hard to make sure that happens. Is your contract with SpaceX for two flights? Are you doing a rideshare or have you contracted the full rocket? 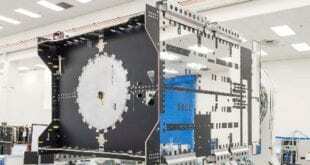 We are a secondary payload on our launches with SpaceX. This is part of our competitive advantage. Our small size and low mass allow us to launch for a much lower price. So does that mean you will be delivered into a low orbit and take yourself from there to the Moon? Yes, that’s right. We are developing our own propulsion system that will take us from GTO to the lunar surface, on the second mission, we intend to put on the brakes and come down to land. As we speak, SpaceIL is already on its way to the Moon and facing a few of the challenges that space brings. They were also dropped off in GTO. Is that a similar trajectory to the one that you are planning for the first mission? The trajectory is a big question, depending on the fuel availability that we have. There is a discussion right now around whether to do the same trajectory that they did and that’s a long, four month road. I think we will probably go faster. Let’s talk about the lander that you are working on. What is it like in terms of mass? 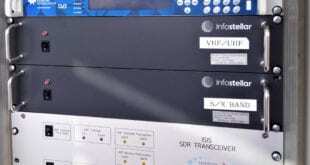 Our focus is low cost and high-frequency – so, cheaper and faster. For our first landing mission, we are targeting a dry mass of around 350 kg and a wet mass, which includes propellant, around 1,400 kg. We are going to be able to deliver 30kg to the lunar surface, which isn’t a lot, but it allows us to start carrying out multiple missions and to learn how to do landings and to find customers very quickly, so we can fill the manifest and launch and go. So, we are totally focused on high frequency, low cost, and learning lessons. Then, eventually, we will be able to scale up. How low is low cost and how do you achieve this? We landed on the Moon 50 years ago. Since then, the technology has been enhanced and has become miniaturised and is now much cheaper. Another huge proponent of that is being a secondary payload so we don’t have to cover the full launch cost. We are also proud of the ‘made in Japan’ brand – the Japanese are experts in developing systems that really focus on the production line and decreasing costs. Are you releasing the prices for payloads on your website? Right now, it’s not completely understood what the pricing will be. We need to do some more development. We are interested in how some of our competitors were able to release the costs so early. We feel that these are competitive prices that will be a challenge for anyone to keep up with. We will be a little bit more strategic in terms of how we execute our pricing strategy. One of the biggest challenges we face in space is the problem of space debris. How are you dealing with end of life management on this mission? Is that clear right now? For the first mission, we believe that what we leave will be cultural relics, just the same as the first Apollo missions in the 70s. In the future, of course, this is something that we need to take into consideration but, as you know, resources available on the lunar surface are very minimal so the intention in the long-term is to reuse a lot of the equipment. Once the rover becomes inactive, various rovers that have been used over the decades will then be recycled for development on the lunar surface. Leaving aside the legal discussion about who owns what on the Moon, going into mining is a brave step. It’s a far concept. 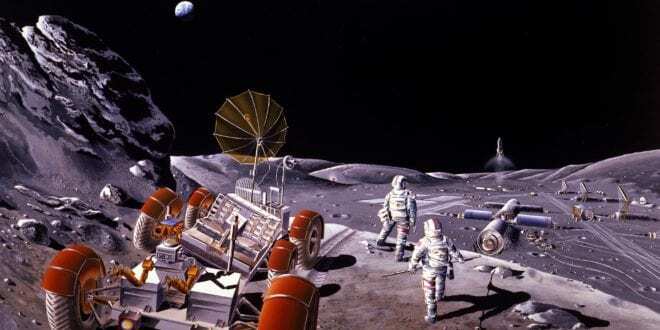 How do you intend to carry out mining on the lunar surface? ispace is not an expert in mining, so our strategy is to learn from the experts, but in order to do that, we first need to be able to provide some sort of survey on what resources exist. So, the first steps for us are to get the transportation nailed down, in terms of logistics – getting to the lunar surface is really key. Second is, at the same time, we have to use the data that exists right now from the Lunar Reconnaissance Orbiter (LRO) and from numerous different orbital space craft to better understand what kind of resource availability there is. Then, that data needs to be properly utilised and transferred into something that can be understood by the mining industry. There is already a product that exists, but we want to use the first couple of missions to do some reconnaissance and to confirm that indeed what the spacecraft saw is correct, and we can do some sample handling mechanisms to understand better if that’s true or not. That’s the first step. I think the second is to start to work closer with the mining sector and the natural gas sector to get them on-board as partners and to help us to explore deeper deposits and better develop our programmes and also to get involved financially. We want to get governments such as Luxembourg involved. If we get them on board I think you will see a lot of cooperation from the mining sector. Like a lot of others, it is a conservative sector and need to gain trust first. So you are not focused purely on mining but on anyone that puts an interesting payload on board? It’s a step-by-step approach and we need to find models for monetisation every step of the way. For us, the first opportunity to monetise is to work with companies that want to showcase their brands or technological partnerships. First, it’s a data product; second, it’s a transportation network; and, third, is to provide the data from the lunar surface itself. Then we have a better understanding of what we can do and get into the mining, or other sectors. It’s a step-by-step approach. There is a big focus on Japan in terms of partners as well as the location of ispace’s HQ. How do you involve the rest of the world? 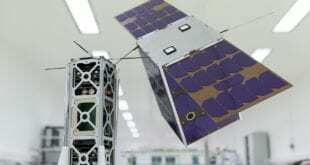 Space is an especially difficult industry because of the focus on the sovereignty – this is the focus of every region because they don’t want to depend upon another nation to get themselves outside of the Earth’s atmosphere. 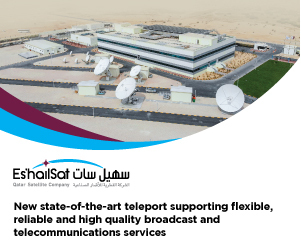 Our approach has been to open regional offices in different prime regions for space. You’re right that the money comes from Japan, but it’s very clear that Japanese industry is not going to be enough to sustain us. By establishing a presence in other countries and hiring people and contributing to local economies, it’s not just a drain on their countries to Japan. Do you see a global trend from the agencies and others to work with private companies? I think the trend we see happening across the world is that space agencies are re-thinking their role in exploration and it’s a tough conversation because this industry is a legacy industry and the people at the top have been doing this their whole life. But, fortunately, there are some people in organisations that see the real opportunities to decrease costs and to focus on next steps. Something similar is happening in Japan in terms of investment. 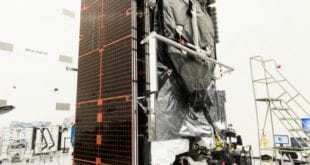 They have a U.S.$1 billion programme to invest in space start-ups and to encourage the industry to grow. There is a keenness to have the exploration on the Moon done privately, so they purchase this as a service and I think that’s a really good sign for the growth of the industry. We are in the right place at the right time – 10 years before and 10 years later would have been too early or too late. Kyle Acierno is Vice President, Global Sales and Strategy in Tokyo. Prior to taking up this role, he served as the Managing Director of ispace Europe. He is responsible for executing business strategies with a specific focus on the lunar mining missions conducted in Luxembourg as a part of the Space Resources Initiative. 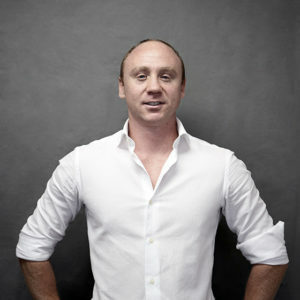 Kyle has worked for ispace for a number of years as the Global Business Development Manager. In this role, he secured a number of space agency and commercial agreements while starting new offices in Europe and the USA. Kyle specializes in lunar commerce and in 2015 won the Space Generation Advisory Council’s Space Leader award. Kyle holds a Masters in Space Studies from the International Space University and a Bachelors in International Security from Simon Fraser University, Canada. He is a member of The Hague Space Resources Working Group and the Moon Village Association. SpaceWatch.Global thanks Kyle Acierno for the interview.